Infinite Art Tournament: The Infinite Art Tournament, Round One: Lancret v. Landseer! The Infinite Art Tournament, Round One: Lancret v. Landseer! 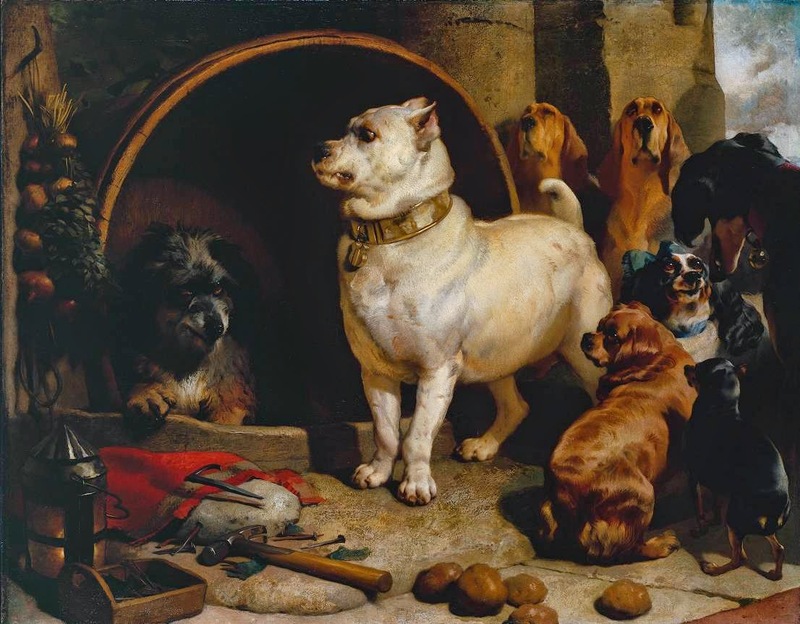 Landseer - what in the world are those dogs doing with a tool box? I'm not sure either will get my vote next round, no matter what they direction they go. 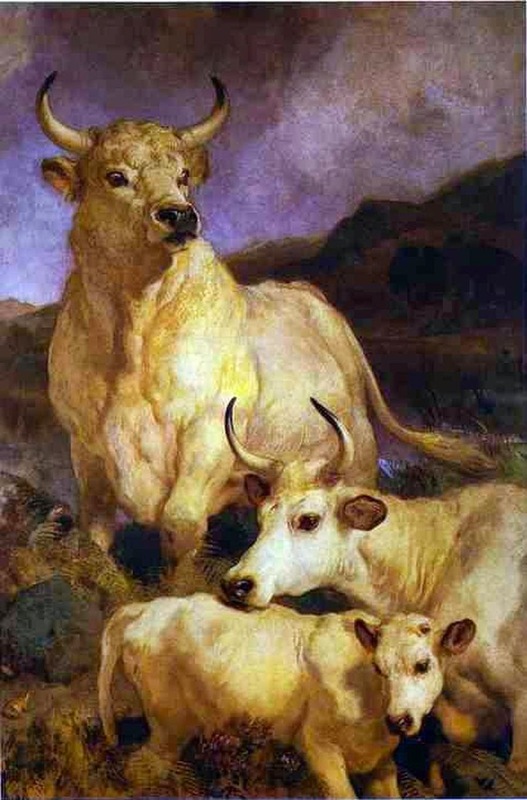 But I'll go Landseer this match, based on that very noble-looking cow. Not too excited about either, but I'll vote Landseer. I guess I'm coming down on the side of humans, with a vote for Lancret. Lancret looks like he's doing covers for the 18th century New Yorker. But I'll take him over heroic animal pictures. Lancret's 18th-century New Yorker covers for me, please! 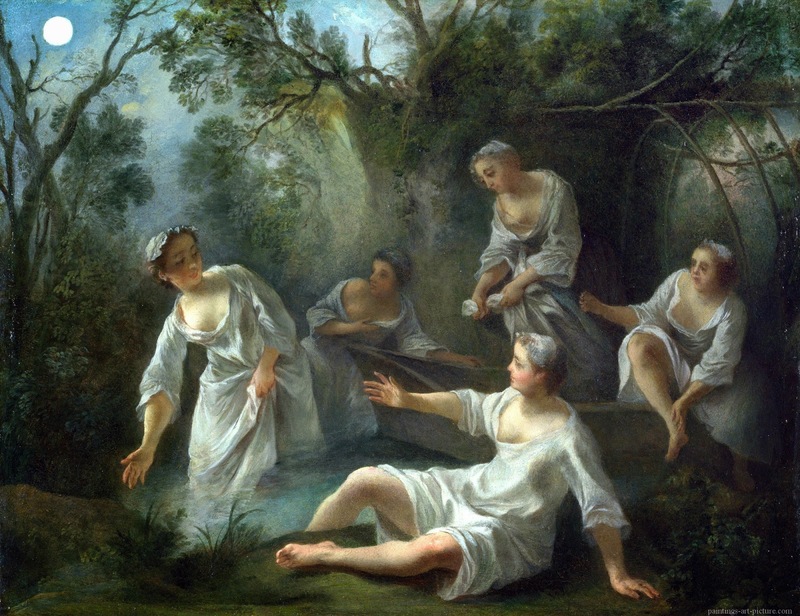 A real squeaker -- which sounds like something Landseer would enjoy painting -- but Lancret's comeback falls short and it will be heroic animals moving on to Round Two!